In March of 2016, Google announced a new suite of enterprise-level products. Among them, Google Analytics Premium, which has been renamed to Google Analytics 360. Read more about the entire Google Analytics 360 suite. But one of the most exciting things about Google Analytics 360 is the ability to access unsampled data in many, many ways. Once your account has been migrated to GA 360, the number one way that you can access Unsampled Data is simply by accessing the interface. That’s right: no changes required! 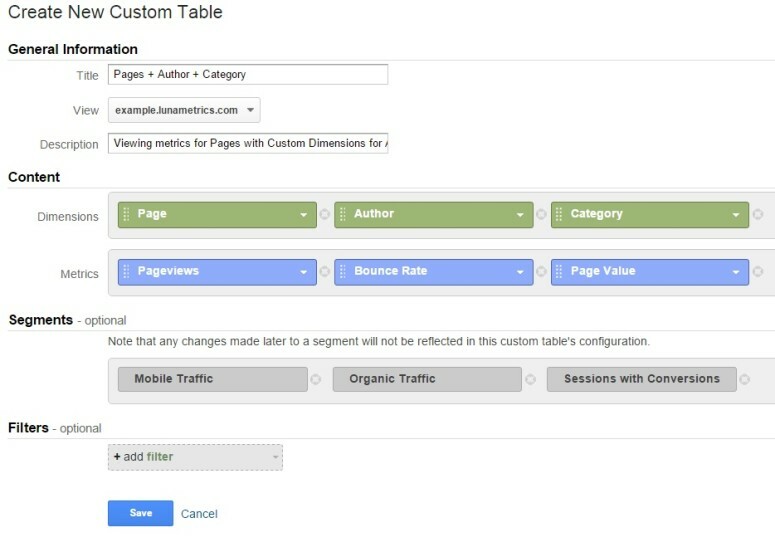 The free version of Google Analytics will only include 500,000 sessions of data when accessing non-standard reports. GA 360 extends that number all the way up to 100,000,000 sessions. Better still, they change how this figure is calculated: in the free version, the session count is determined at the Property level, but with GA 360 the session count occurs at the View level. What does this mean? 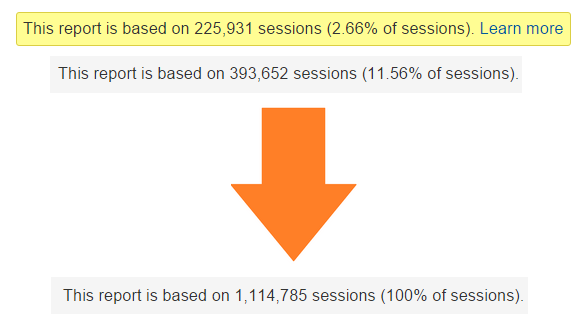 If you’re using the free version of Google Analytics, even if you’ve narrowed a View to only contain a small portion of your site that contains less than 500,000 sessions, running a non-standard report can still cause a report to be sampled, because the session count is tabulated as the number of sessions at the Property level, before any Filters are applied. For Reports that exceed the 100M session limit, unsampled data is still a few clicks away in the interface, via the Unsampled Reports feature. 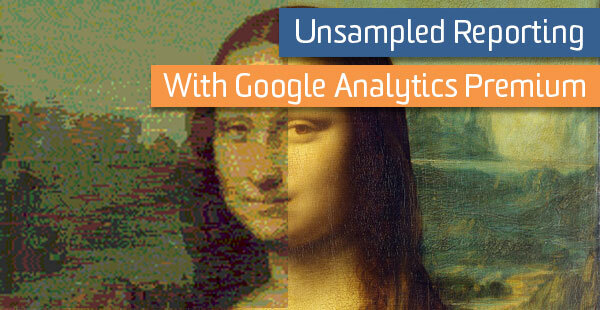 Google Analytics 360 users can request one-off Unsampled Reports right in the interface. 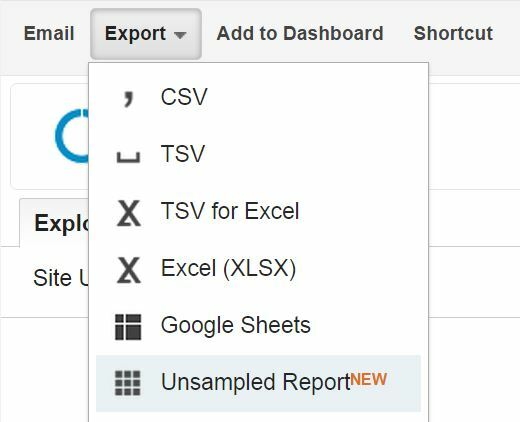 To request an Unsampled Report, configure the report you’d like to see and select ‘Unsampled Report’ from the Export dropdown. Once the report is processed, you’ll receive an email to let you know your data is ready to be analyzed. You’ll also be able to access the report through the Customization tab. Here, you can see all Unsampled Reports requested, as well as details each report. Your Unsampled Report will show you up to 1,000,000 unique rows of data for the configuration you’ve requested, with 3M rows included in downloaded reports. If you regularly need to access a non-standard report with more than 100M sessions, Unsampled Reports can feel a little “cludgey”. If this is the case for you, you’re going to want to use a different report: Custom Tables. Custom Tables allow you to create your own report as though it were a standard report. This means no sampling, ever! GA 360 customers are limited to the 75,000 unique rows of data in a report, compared to 50,000 for the free version, but this limit still does not apply to Custom Table reports. Custom Table Reports can have up to 1,000,000 unique rows of data per dimension per day (woohoo!). Custom Tables are configured on the Property level, but are bound to a specific views. You can create one by accessing the Custom Tables setting under the Property column of the Admin Tab. Here, you’ll create a report, just like in the Custom Report interface. Be sure to add all of the dimensions and metrics you’d like to see. Additionally, you can specify a specific Segments you’d like to see in this report, unsampled. This includes your own Custom Segments. You can create up to 100 Custom Tables per Property, and once a report is created, it will start to report unsampled data from that a day or two after creation onwards. UPDATE: As of September 9th, 2015, new Custom Tables will backfill in the previous 30 days of data! Woo-hoo! If you need to access unsampled data programmatically, there are a few additional wrinkles to consider. For starters, Unsampled Reports can be prepared and accessed programmatically using the Google Analytics Management API. Since the reports need to process, you’ll need to include logic to poll at a regular interval and check the Report’s status, and once the Report is prepared, you’ll then need to save it to Google Drive or Google Cloud Storage before you can access the data. 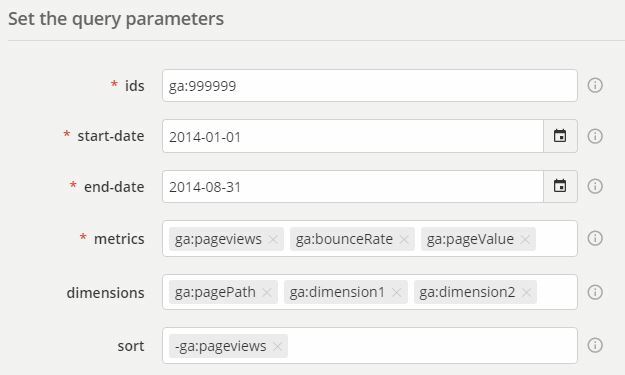 If you’re looking for a more responsive reporting solution, you can use the Google Analytics Core Reporting API. This API provides programmatic access to Google Analytics data to both Free and 360 users. However, be aware that the API currently only supports a maximum of 500,000 sessions for non-standard reports for both 360 and Free tiers. But wait! Remember those Custom Tables? For programmatic access to non-standard reports with unsampled data, you’ll just need to make a Custom Table that matches the dimensions and metrics for that report. Once you’ve created the Custom Table, your API requests will become standard, as long as they match that report’s configuration. Your API queries remain exactly the same as before. In addition to these great tools, there are other steps you can take to get unsampled data from Google Analytics, like simply reducing your data range. These tips apply to both the free and 360 versions, so check them out either way. This post also doesn’t even touch on the fantastic BigQuery connection feature, which GA 360 users have access to. And of course, if you’re looking for this kind of data, there’s a fair chance you might accidentally be replicating a new feature in GA 360; make sure you download our great PDF comparing the free Google Analytics and GA 360 features to ensure you’re not re-inventing the wheel. Have you had issues with getting unsampled data from GA 360? Drop us a line below or send us a note; we might be able to help you figure out a solution!